Here’s a roundup of our favorite infrared saunas for home use. Who doesn’t love visiting a spa and spending time in the sauna? I personally think that’s one of the best amenities of going to a spa or nice health club! It’s no wonder why most Scandinavian homes have them. In fact, I read that Finland has the most saunas per capita compared to every other country in the world. And, I don’t just think it is a coincidence that Finland is always in the 10 ten list of healthiest countries. Having a sauna in your own home means a lot. It gives you the convenience of the sauna’s benefits right at the press of an on switch in the comfort of your home. The sauna has become a technological and therapeutic marvel. As sauna manufacturing is down to a science nowadays, you want the best option for your home. Equipped with 7 Carbon Fiber Far Infrared Heaters, the JNH 2 Person Sauna, is just what you need to relax and unwind. It is made with 100% Canadian Hemlock, FSC Certified “Green” wood, and absolutely no chemicals added. Because of its dual wall construction, the heat insulation cannot be beaten. The premium sound system will make unwinding even easier. The easy to used digital control panel allow you to control heat, light and music and the touch of your fingertips. The sauna measures 47.3″ (w) x 39.5″ (d) x 75″ (h) and comes with a 5 year warranty. JNH stand behind its products and for that, and because of its perfect 5 star review, it’s our top pick. Heats up fast and stays hot. This sauna from Barcelona has 6 Low EMF –aka low emissions – Carbon Infrared Heating Panels to soothe your aches and pains. It is beautifully constructed from reforested Canadian Hemlock. It is said to heat up faster and hold its heat longer due to the thick interior and exterior wood planks. Enjoy your favorite music through the saunas built-in MP3 connection and built-in speakers. No special wiring is required and users said it only took one hour to set up. This is the smallest unit tested and we really like it of you are tight on space but want all the benefits of an in home infrared sauna. The Barcelona Sauna measures 39.2 x 35.3 x 72.5 inches and would be a beautiful addition to your home. Want the benefits of an infrared sauna at home but don’t have the space that your health club has? The SereneLife Portable Infrared Home Sauna is perfect for you. 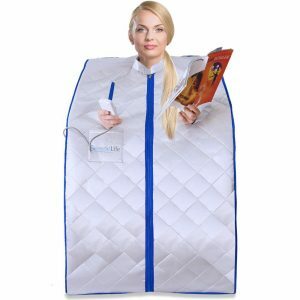 It offers most of the benefits featured in the other saunas we reviewed without the bulk and at a fraction of the price. This powerhouse sauna is outfitted with a remote control that features an automatic heat setting and a timer, allowing you to customize the heat according to your preference. It directly heats your skin with deep penetration that will take up in 5-10 minutes to heat. The SereneLife can be programmed for sessions up to 60 minutes in duration and temps reach a max of 140 degrees. It comes with a foldable sauna chair and the entire set up weighs less than 20 lbs. The SereneLife Compact Home Sauna measures approximately 27.6’’L x 31.5’’W x 37.8’’D. Heats up quickly and makes me sweat! The spacious corner unit is perfect for those who want to spread out in their unit or have a few people in the family that will benefit from an in home sauna. The Heat Wave Corner Sauna features 10 carbon heaters for maximum infrared benefit. 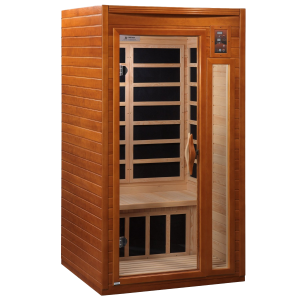 Manufactured out of Natural Hemlock, this sauna comes with all the bells and whistles, including towel hooks & magazine racks, CD Player with mp3 plug-in, backrest, color therapy light and an oxygen ionizer. The electronic oxygen ionizer releases negative ions, which help purify the air in your sauna, a unique feature that only the Heat Wave sauna offered. The sauna measures approximately 59W”x 59D”x 75H”. The JHN 4 person sauna is fit for a world-class spa. Complete with 9 Carbon Fiber Infrared Heaters, this spacious unit is sure to melt away your every worry. Made with 100% Canadian Hemlock, FSC Certified “Green” wood, and absolutely no chemicals added. Because of its dual wall construction the heat insulation cannot be beat. It also means that you never have to worry about heat expansion, no matter how small a space you put it into. With a simple tool free set up system, you will be using this sauna in no time. 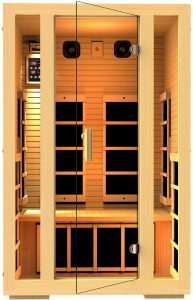 Measuring at 70.9 x 75 x 47.3 inches, the 4 Person Sauna by JHN is perfect for those looking for the best infrared sauna on the market. If you have space for this sauna, you will be grateful for the years of relaxation and wellbeing it will bring you. The war between dry and wet sauna has been raging on for decades. We’re going to leave it for a little while and focus on another popular kind of sauna – the infrared one. How does it work? What’s with the infrared part? In order to understand this form of heat therapy better, let’s get to the nitty-gritty. Finnish sauna societies only consider saunas to be traditional dry or wet ones. Infrared don’t fall under conventional sauna standards. Many experts think of them more as infrared rooms. Whether this is true or not is up for debate. What isn’t up for debate is the myriad of beneficial effects an infrared sauna has. Infrared-induced sweat sessions can also cause the heart rate to quicken, stimulating better oxygen flow: “They elevate the heart rate similarly to cardiovascular exercise so it’s a wonderful option for people who are handicapped or unable to get their heart rate up with exercise,” says Dr. Alejandro Junger, a cardiologist and creator of CLEAN, a 21-day detox program. We’re not going to get in detail about the manufacturing process. Everything you need to know is that infrared saunas are a special form of therapy. They harness the power of infrared light to heal and repair the organism. A special characteristic of theirs is that they don’t produce conventional heat. Indeed, when you step into an infrared sauna, it isn’t hot. Then how does one get all the beneficial effects from it? It’s simple. Infrared light is technically a form of electromagnetic radiation. Although we may not feel or see this light, we can have benefits from it. The heat receptors don’t feel this type of thermal radiation, but the body registers it as “radiant heat”. Radiant heat is no different from the physical heat that can be felt. It has the same benefits as the heat found in traditional saunas. By the narrowest possible definition, a sauna is a facility where water is used to create steam. By all means, and according to Finnish standards, the infrared sauna is not a sauna. The biggest difference is that infrared rays provide the same benefits, but with no heat. 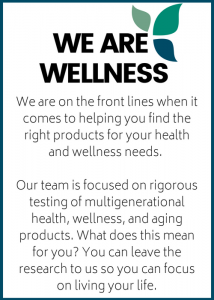 You can remain in an infrared sauna for an extended period of time. According to some experts, this is a big advantage over the traditional one. In infrared saunas, you can usually find professional athletes. It is because this form of therapy relieves your joints and improves muscle relaxations. The infrared craze has recently grown from a mostly-just-Los Angeles trend to a New York City-and-everywhere-else trend, and it is a favorite of the Kardashians, various Real Housewives, Dr. Oz, Gwyneth Paltrow, and Chelsea Handler. Infrared saunas for home use have been featured recently in Vogue, Thrillist, New Yorkmagazine, among many others, and they were the subject of a New York Times piece last August. If we were to make a single conclusion about this whole conundrum, we would say – it all comes down to preference. Both sauna forms possess the same benefits for your general health. If you prefer heat and breathing in steam, then the traditional sauna is for you. For those who prefer more relaxed environments, they should opt for installing an infrared sauna in their home. It comes down to preference, indeed. The only way to know your preference is by trying out both options. Infrared saunas are beneficial instruments of health enhancement. However, you should use them with caution. Not having the necessary knowledge about infrared saunas can lead to health hazards. This is the total opposite of what you want, right? Hence here are some guidelines that are both simple and informative. They will help you stay safe and have fun in your new infrared sauna. Be in good health: First and foremost, do not venture into an infrared sauna without the consent of your physician. This is even more important if you have a disease or a health condition. Infrared saunas help with certain elements of your health. They DO NOT miraculously cure them. Stay hydrated: Don’t be fooled by the radiant heat. It still has the same effects that the traditional saunas have. You still lose water and are at risk of dehydration. A good amount of water is needed before entering an infrared sauna. Have drinks at hand, too. Underlying condition: If you have adrenal suppression, systemic lupus or multiple sclerosis, don’t stay in the sauna for too long. Short sessions at lower temperatures are best in these cases. Always have a friend with you, for safety. Sweating conditions: People with sweating disorders and heat regulation conditions are not advised to use infrared saunas. Of course, always consult a physician beforehand. Pregnant or breastfeeding: If you’re breastfeeding or expecting a baby, be cautious. Pregnant women are usually advised not to have more than four visits to an infrared sauna per week. That time of the month: Be aware that using an infrared sauna during your period my increase you menstrual flow can be due to the heating of the low back area. It’s only temporary, don’t worry. We all know that saunas offer health benefits, but lets take a look at them now. Weight Loss – according the American Medical Association, a 30-min infrared sauna session can burn as many as 600 calories. 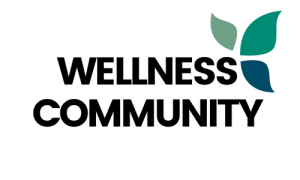 Detoxification – sweat out the bad, make room for the good. Infrared saunas allow you to eliminate 7x more toxins than traditional saunas. Pain Relief – by relieving inflammation and increasing circulation, infrared saunas can relieve pain throughout the body. Skin Purification – infrared saunas can help you achieve clearer skin by ridding toxins through the pores. 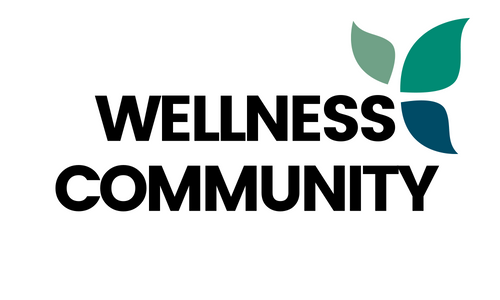 Improved Circulation – Regular sauna usage can stimulate blood flow, increasing circulation and muscle recovery. What is infrared? Infrared is a form of light that cannot be seen but can be felt in the form of heat. An infrared sauna warms the body in the same way as natural sunlight, while a traditional sauna uses heat to warm the air, which in turn warms your body. The other major difference between them is traditional dry saunas use temperatures as high as 195 degrees F, which can overwhelm those who are more sensitive to the heat. 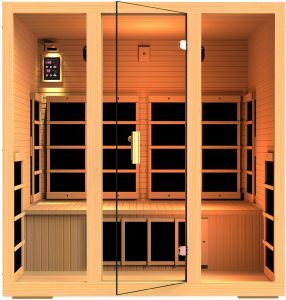 Infrared saunas use a much milder temperature environment of between 120 to 150 degrees F. However, because the heat of infrared saunas travels much deeper into the body, they are able to cause a more vigorous sweat at lower temperature. This is an important purchase and a relatively expensive one so it’s important to know what to look for when you purchase an top rated sauna. Size of the sauna: depending on who will be using it and if they will be using at the same time. In our reviews we will take a look at 1 person saunas all the way up to 4 person saunas. And, the larger ones offer space saving shapes, like corner units in case square footage is an issue. Type of wood: Infrared saunas should be made out of the following types of wood – Red Cedar, Pacific Coast Hemlock. Saunas made from other wood types should be considered inferior. Number of heaters: This can make a hug difference in your saunas. You are going to want to look for a minimum of 5 heaters for a 2 person unit and at least 8 heaters for a 4 person unit. The proper number of heaters will make for an efficient sauna that will offer all the health benefits you desire. While Consumer Reports has never taken the time to review saunas for home use, they have mentioned their popularity in home use in this 2013 Consumer Reports article.